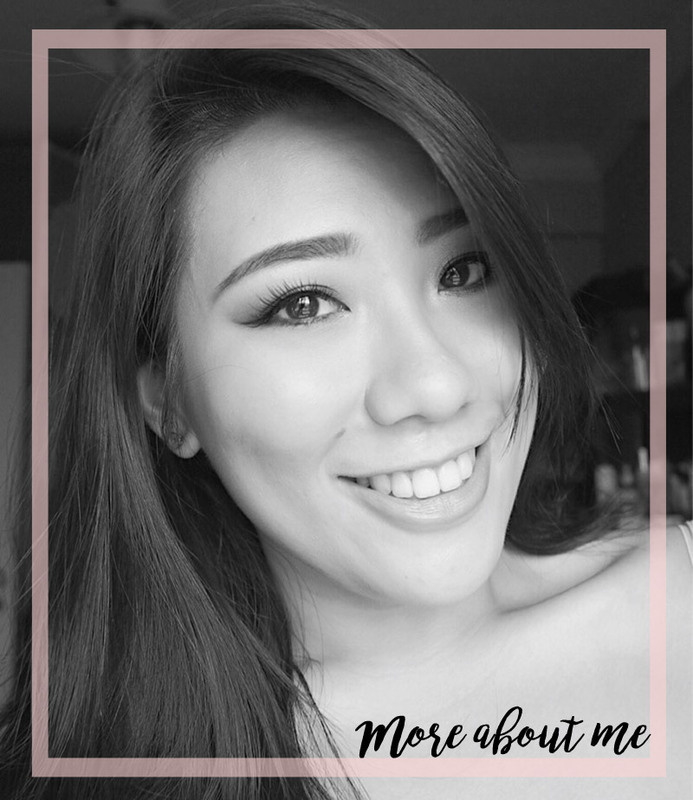 Recently, life got the better of me and I started to see the formation of cystic acne under my skin. 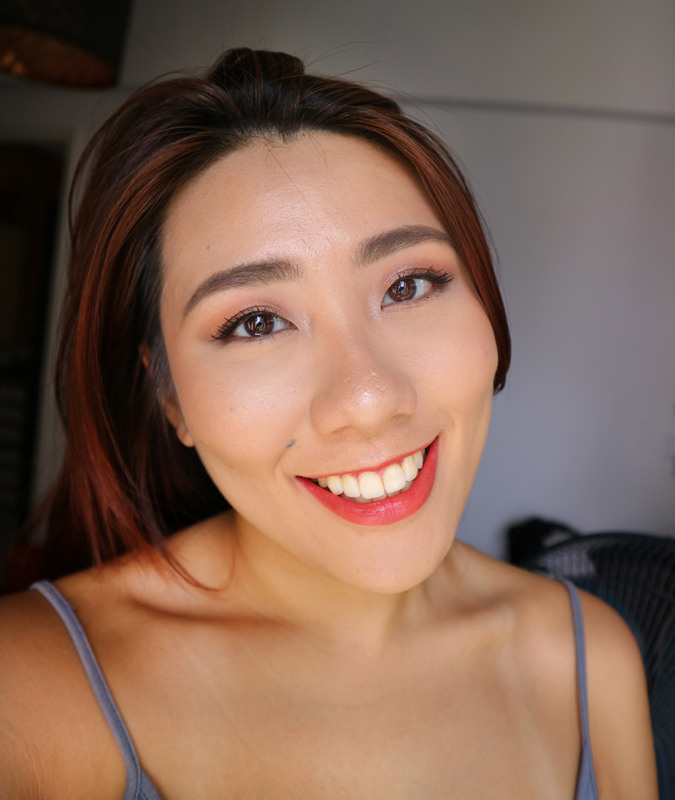 I've never encountered cystic acne before and it definitely was a sign for me to analyse my life and make some necessary changes accordingly. Acne is not new to me; It has been a part of life ever since I was 18 and I had to deal with breakouts and scarring pretty much constantly. To help counteract acne and to prevent it from recurring, NOVU has created the EUROPA series and I had the wonderful opportunity to drop by and check it out. You can read more about my previous experiences with NOVU here and here. There are 2 sessions required for a complete treatment, which they have labelled session A and B. These sessions have to scheduled 1 week apart for the best results. Side note, the cover image above was taken the day after the second session of the treatment was completely. You can still see the acne scarring but my acne (especially on my left cheek) has toned down quite a bit. In Session A, there will be 3 main treatments, namely the GLAZO Peel Laser, Microcell and Ion Infusion with Sebofix Serum. During session A, I had a quick consultation with the in-house doctor before the application of numbing cream and cling wrap to help increase the effectiveness. After casually lying there for 20 minutes, the numbing cream was removed and we proceeded with the application of Glazo paste (this is the black mask that you see in the pictures below) onto the skin. This Glazo Paste is rich in anti-pigmentary, anti-oxidant and anti-inflammatory properties as it contains Kakadu extract from Australis. This paste is applied to the skin and then we wait for about 10 minutes for it to get absorbed into the dermis. The next step involved using the laser, which reacts with the carbon in the Glazo paste. I am not sure of the science behind it but the laser basically removes the paste from the skin and the particles get sucked up via the vacuum! Pretty cool, as you can see from the pictures. Carbon particles within the GLAZO paste releases head on contact with the laser. This helps to gently exfoliates rough skin and shrinks pores. It felt a tad like fractional laser but it didn't hurt much as there was numbing cream. The thermal effect of carbon particles surrounding the sebaceous glands helps to reduce the chances of acne formation and this procedure also stimulates collagen production and cell regeneration which helps shrink superficial scars. After the laser, we moved on to the part that I was the most apprehensive about - Microcell. This is basically a micro needling technique that creates micro-punctures to the skin to promote aggressive skin repair and renewal as well as simultaneously re-texturizing the skin surface. This is also said to be effective even on severe scarring. Despite the procedure sounding terribly scary and painful, it basically felt like someone was continuously pinching the skin. I could not feel the needle as it was a series of quick movements, but it did hurt more when done on acne or areas nearer the bone such as the chin. As I was looking at the photos, I realised that I bled, but it helps that I couldn't see it through the goggles. Psychological pain is always worse. This step lasted less than 5 minutes. This above image clearly shows that I have the pain threshold of a baby. The last step for session A involves the Ion Infusion with the Seboxfix Serum. This was cooling and extremely relaxing, great for calming the skin down after the aforementioned procedures. The serum is delivered into the skin to clear existing acne and prevent future acne formation. Its active components inhibit sebum secretion activity, clear congested skin pores and reduce bacterial growth in the follicle. It also provides maximum hydration, which aids in skin cell regeneration, renewal and resurfacing, making acne marks heal over a short period of time. At the end of session A, my skin was red, especially in between the eye brows, cheeks and chin area. The redness slowly dissipated, and was almost gone in about an hour. The skin did feel tight, especially the nose area. There wasn't too much pain after. The skin just felt tight, but it is not as bad as when I did fractional laser as it didn't hurt when I laughed or smiled. The redness and tightness was the only downtime I experienced. there was no flacking or extreme tightness at night or the day after. This image below was taken roughly 3 hours at an event which I attended after the session! Had no base makeup on and you can see that the redness had reduced greatly. My skin did feel firmer and smoother after a few days. The dry patches (which could possibly be the skin repairing itself) disappeared completely after 3 days as well. In Session B which happens exactly a week after, there will be the Sebofix Serum + Dynamic Activated Mask , Glimmer PDT and Ion Infusion with Sebofix Serum. The next session (which follows a week after) focuses on the renewal and restoration of the skin, by continuously promoting skin healing and controlling any further breakouts. 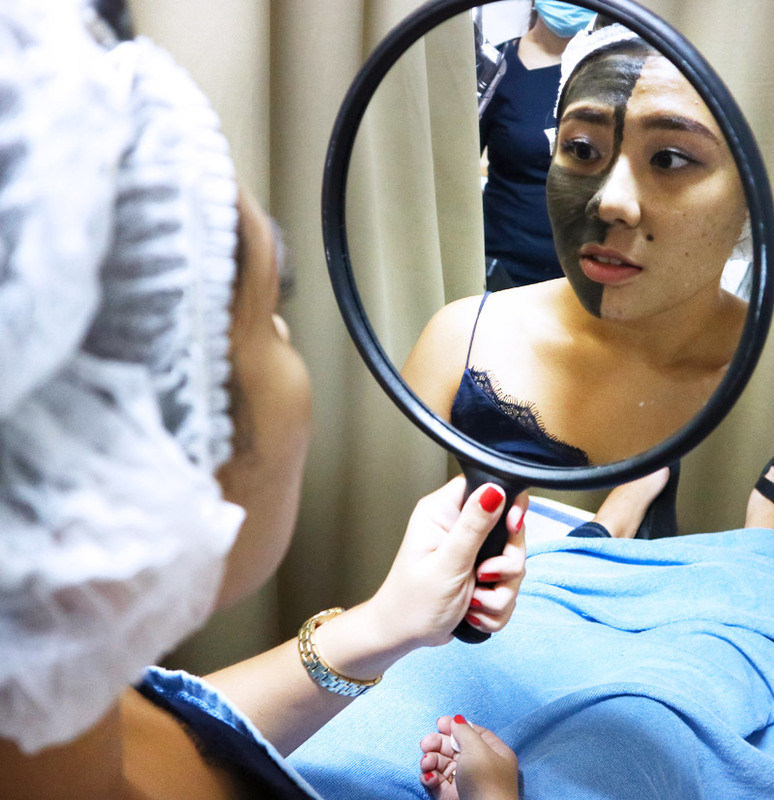 After settling down, a thin layer of the Sebofix serum is applied to skin followed by the hydrogel mask. This Dynamic Activated Mask is packed with skin renewal essences and Hyaluronic Acid that adds moisture to the skin. Following the application of the mask, I underwent the Glimmer PDT which utilises blue light which is meant to soothe the skin and inhibit acne bacteria activity. 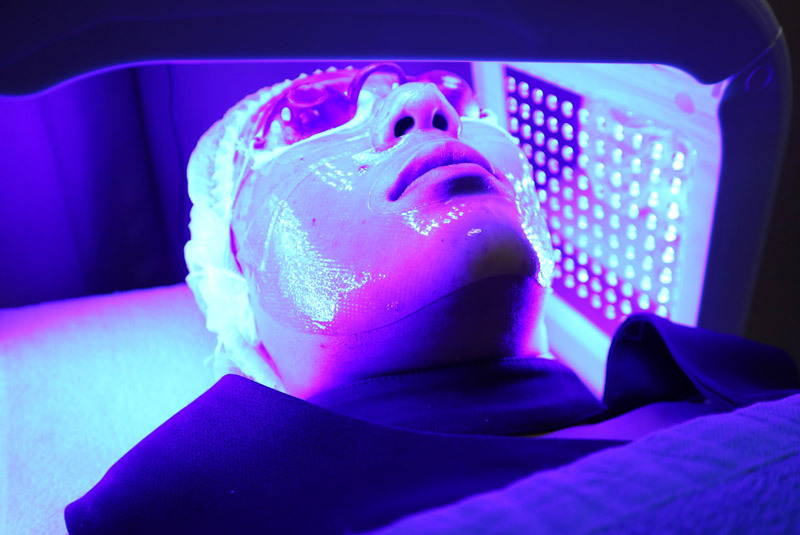 This machine goes around the face and emits blue light, somewhat like those UV lights that are utilised for gel manicure. Of course, a different light is being used! To prevent any discomfort with the light, slightly damp cotton pads were applied to the eyes before the goggles. For me, it became pretty pitch black and I even fell asleep during this so there was no discomfort experienced. The Sebofix serum is photosensitive, so the light helps to increase its efficacy as well, aiding in the reduction of inflammation and the building up the skin’s resilience against future acne formation. The last step comprises of the Ion Infusion with Sebofix Serum, similar to that in Session A, to round up the treatments. This helps to further boost the effects of skin hydration, balances the skin’s natural oil-to-water ratio, and creates a supple radiant skin without the oily feel. This step is always welcomed as the cooling plate of the machine feels lovely on the skin. The serum takes a while to get absorbed but after it does, there is no tacky residue left behind on the skin. There is no downtime for session 2 and I was good to go. I forgot to take a makeup free photo right after but here is one 4 days later when I flew off to London. Had no makeup on other than drawing in my brows as I just got off my long haul flight! Hopefully you can see how the skin looks like. 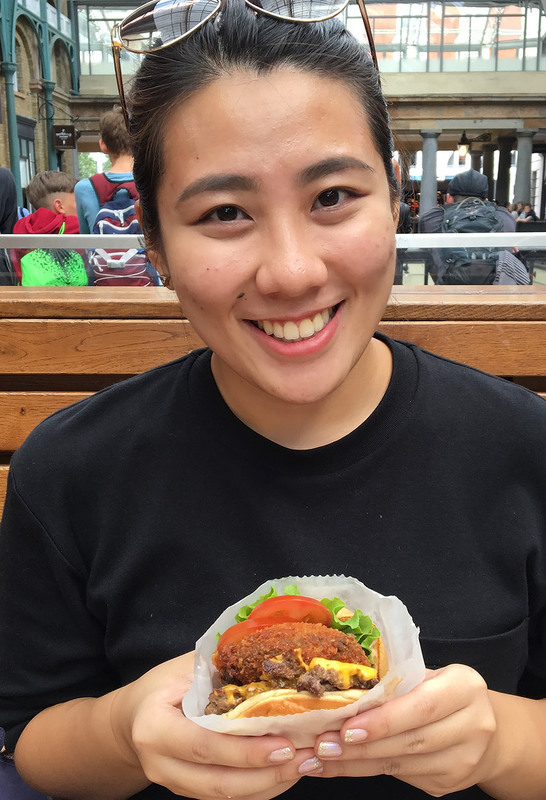 And yes, that is a Shack Stack burger from Shake Shack in my hands! I see you're distracted. So did these treatments help may acne? The cystic acne on my left cheek is still present which is understandable as that is deep down under the skin layers and it would take a long while before it surfaces onto the skin. The most obvious effect was that my skin felt tighter and more hydrated. I did not notice any more breakouts following both sessions, sans the regular hormonal ones which life is determined to ensure its regular occurrence. In terms of my acne scarring, I can't attest to it being reduced as firstly, my scars are pretty serious and next, I have only underwent one session. 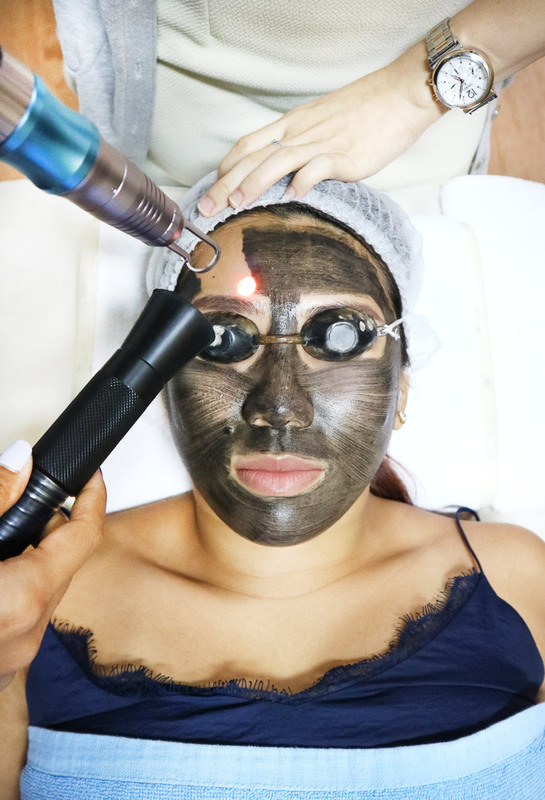 I would say that more sessions would probably help with scarring as the theory behind the microneedling technique does prove effective with it penetrating the skin layers and working on the layers beneath the surface. 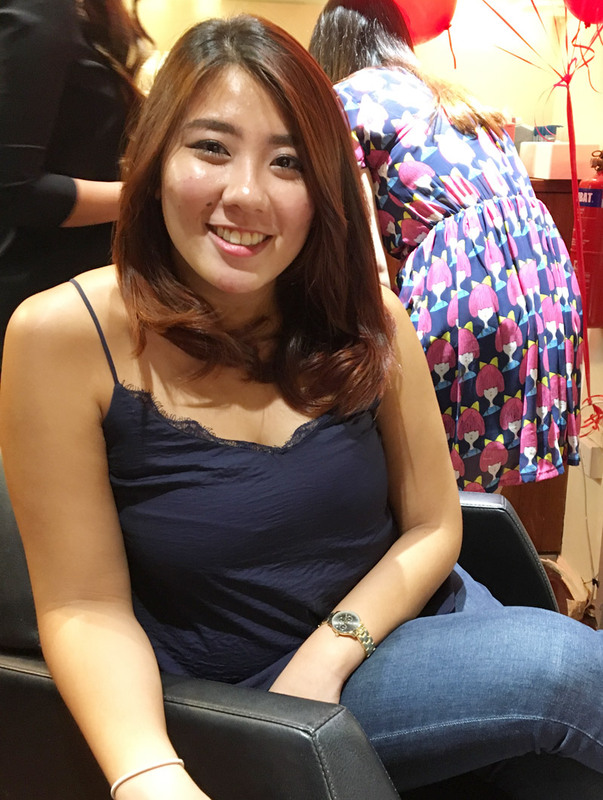 NOVU's Europa retails for S$388 for a trial session, S$988 for 6 Sessions (3A+3B) and S$1,688 for 12 Sessions (6A+6B). If you're interested, you can head over to NOVU's main website here to find out more details. Disclaimer: This EUROPA Acne Treatment was sponsored by NOVU for review consideration. I am not compensated or affiliated to the brand. The above review is based on my true and honest opinion and it also contains some information from the brand itself.